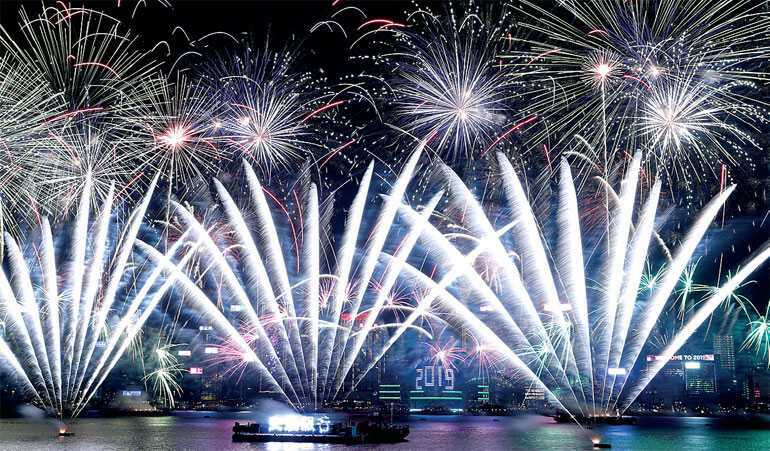 RIO DE JANEIRO (AFP): Revellers welcomed 2019 on Tuesday with fireworks displays and festivities as a celebratory wave swept westward across the globe from Asia to Europe and the Americas, putting to bed a tumultuous 2018. 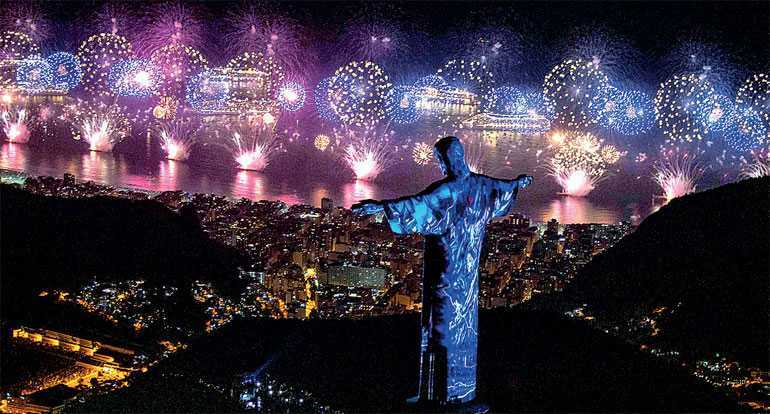 In Rio de Janeiro, the city’s famed hilltop Christ the Redeemer statue briefly came to colourful 3D life through light projections as it peered over Copacabana Beach, where pyrotechnics lit up more than two million white-clad Brazilians dancing to free concerts. 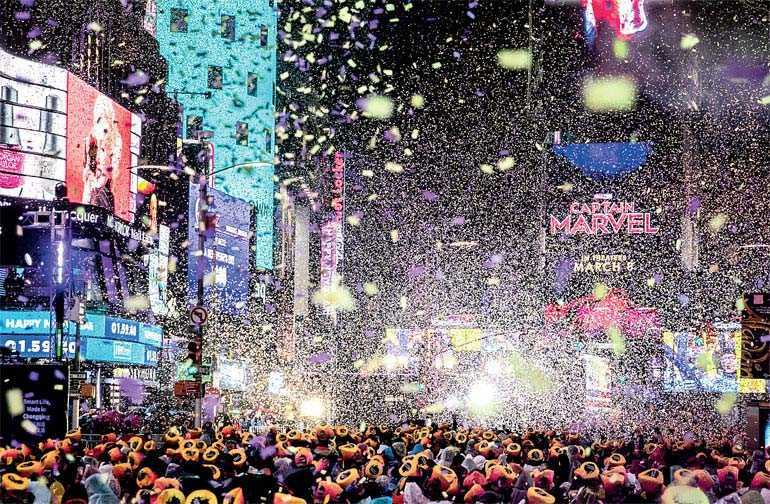 New York was to follow with its iconic Times Square Ball drop, the highly-mediatised epicentre of US jubilation. 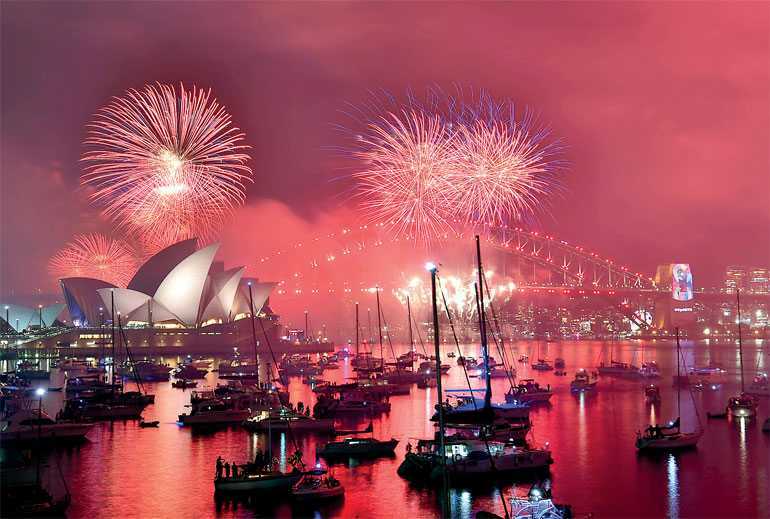 The global partying had kicked off on Sydney’s waterfront with the Australian city’s biggest-ever fireworks display, thrilling 1.5 million people. In the Indonesian capital Jakarta, more than 500 couples tied the knot in a free, mass wedding organised by the Government to mark the arrival of a new year. 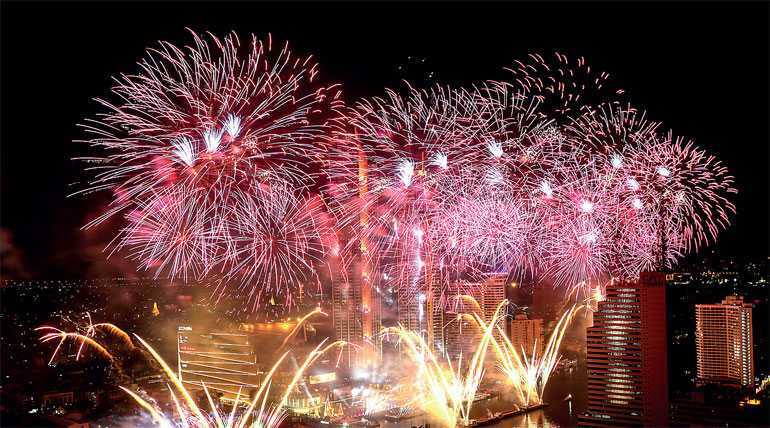 Fireworks shows, however, were cancelled out of respect for victims of a 22 December tsunami that killed more than 400 people. Almost eight years into Syria’s civil war, people in Damascus celebrated their first New Year’s Eve since regime forces expelled the last rebels and jihadists from the capital’s suburbs earlier this year. Dozens of families headed to restaurants and bars in the Old City. Among them, Kinda Haddad, a university student, had decided to leave home to celebrate for the first time in years. “This is the first time we chose the Bab Touma area to go out,” the 24-year-old said, referring to an area in the Old City filled with restaurants and bars. “This area was really dangerous in previous years. A mortar round could have fallen on the area at any moment,” said Haddad, alluding to possible rebel fire on the capital. 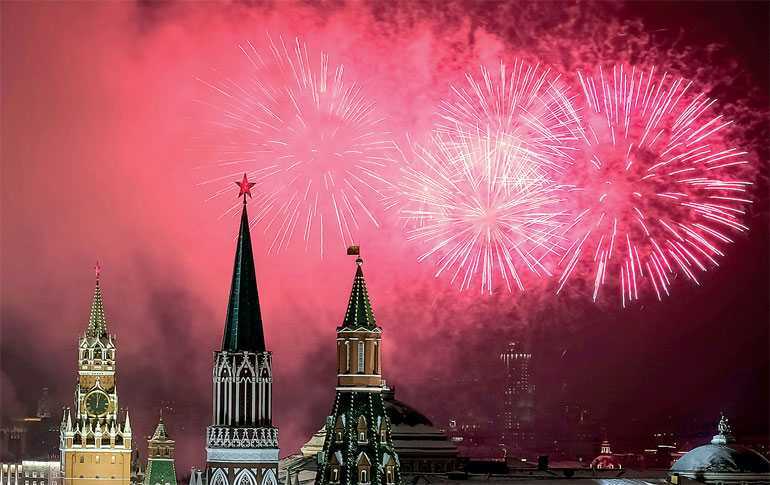 In his New Year’s address, President Vladimir Putin urged people to work together “so that all citizens of Russia... feel changes for the better in the coming year.” In Paris, “fraternity”-themed fireworks and a light show were held on the Champs-Elysees, with a few “yellow vest” anti-government protesters mingling joyfully with the 300,000-strong crowd. French President Emmanuel Macron, in a televised address, acknowledged his Government “can do better” but said “I believe in us.” In Berlin, music lovers partied at the Brandenburg Gate. 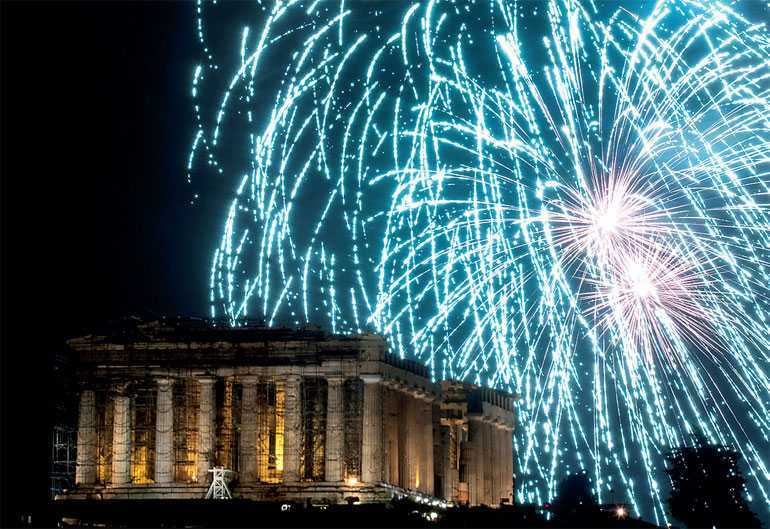 London ushered in the New Year by celebrating its relationship with Europe, despite Britain’s impending departure from the European Union. Mayor Sadiq Khan said the capital would remain “outward looking” after Brexit. 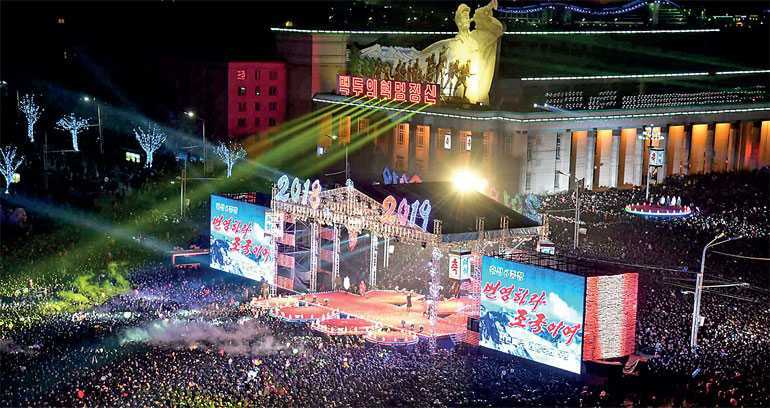 In some African countries, election considerations shadowed New Year revelry. Election officials in the Democratic Republic of Congo were eschewing the partying to count votes from a presidential election that was held Sunday. In Nigeria, President Muhammadu Buhari promised a free and fair election in 2019. The political wrangling in Westminster over Brexit was one of the key stories of this year, with a resolution yet to be reached ahead of Britain’s scheduled 29 March departure.